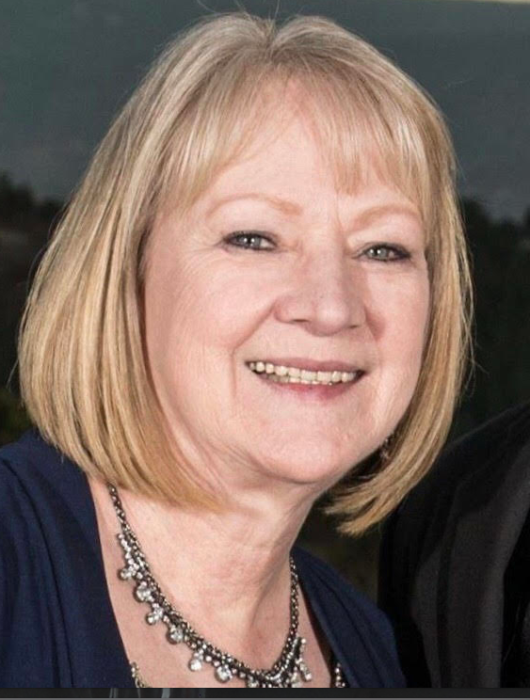 On Wednesday, September 19, 2018, Bonnie Lue Zebre, wife, mother, grandmother (Lolly/Nana), daughter and sister, passed away surrounded by her family at the age of 63 years. Bonnie is survived by her husband and best friend, Frank, and their precious children: Michelle (Children: Megan and Logan), Kristen (Spouse: Joe. Children: Torin and Kaden), Jennifer (Spouse: John. Children: Hazen and Marshall) and Frank (Spouse: Jessica. Child: Ben). She will be forever remembered by her brothers and sister J.T. Blackshear, Liz Cox, Junior Blackshear, Sharon Ray, David Blackshear, numerous nieces and nephews, other extended family and dear friends. Bonnie is preceded in death by her parents Buell and Eller Blackshear, and her sisters, Mary and Mae. Bonnie’s goals in life were to be a wife and a mother. Together, with her loving husband of 34+ years they accompolished these goals by raising their four wonderful children. She worked at the local child development center in Kemmerer, WY for over twenty years. Over those years, many children lovingly referred to her as Miss Bonnie. The people who knew Bonnie best will remember her outgoing personality and the way she always spoke her mind. Her passions in life included a love for painting, especially watercolors, avidly reading, trips to Wendover with her husband and mushroom hunting. She loved most of all spending time with her family, her friend Jolene, and skyping with her grandbabies. In keeping with her wishes, cremation has taken place and memorial services to celebrate Bonnie’s life will be conducted on Monday, September 24, 2018 at 11:00 A.M. At the South Lincoln Training and Events Center in Kemmerer, WY. Services will conclude at the Center that day. Memorial contributations may be made to The Kemmerer Child Development Center, 1208 Elk Street, Kemmerer, WY 83101.